Aan de hand van het thema ‘Trust’ gaat Floor Ziegler & Company onder andere een tijdelijke pop-up shop openen, stadmakers laten werken in het gemeentehuis, Dwarszitters bouwen, Skypegesprekken voeren met stadmakers in Nederland, Nederlanders in Taipei ontmoeten, stroopwafels bakken en vooral leren en luisteren van en naar elkaar. “It is always fascinating to think about who controls the power of urban planning and how it is manipulated by people in different role. Through many acts such as community empowerment, participatory design, and participatory budgeting, the authority of planning is constantly transferring from one to another and through these acts, the realization of democracy is blossoming around the world . This workshop invites leading practitioners around the world whose work has demonstrated both the potential and impact of creative interventions as a venue of meaningful participation and engagement in city planning. Their work suggests ways in which planning actions can expand beyond the limited institutional and procedural framework to better engage with social and community processes that occur through enactment, experience, and dialogue. As a professional spatial planner, having the ability to communicate in-between government and people is crucial to break the frozen situation then to lead the planning direction toward a broader perspective. 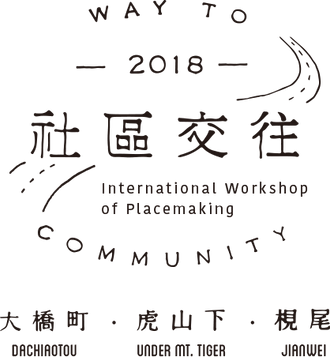 Meer over dit evenement kunt u lezen op de website van Way to Community.